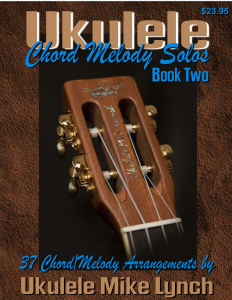 Following in the tradition of the widely popular MASSIVE 52 Song Chord/Melody eBook ONE, this collection continues to enlarge the players library of more easily accessible solo ukulele instrumental arrangements. 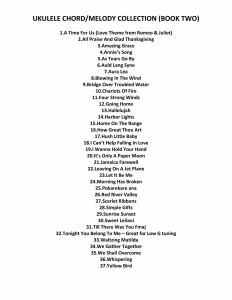 THIRTY SEVEN songs total and they meet the needs of all levels of experience from beginning solo players to more advanced. In this edition, I’ve taken the opportunity to take a new look at a few old favorites but don’t in strictly chord/melody format. Till There Was You, Let It Be Me and Pokarkare Ana to name a few. Pieces that may, in their original fingerpicking format, become truly playable and yet elegantly retain the beauty of the original adaptations. Below are a few musical excerpts to give you a flavor of the arrangements. . .